Very interesting comparisons, especially that last one!!! I first took notice of Nagai after seeing the Twin Angel OVA, having already seen Toradora. I love the sense of space he uses in action sequences, which can be well seen in the first eps of all those shows (Kuroko’s fight in Railgun 1, Taiga chasing Ryuuji with a sword in Toradora 1, and the opening sight in Twin Angel 1.) One of the most important aspects of action scenes which I feel is done wrong the most is providing a sense of the “arena” and despite not being much of an action director at all, Nagai is great at it. 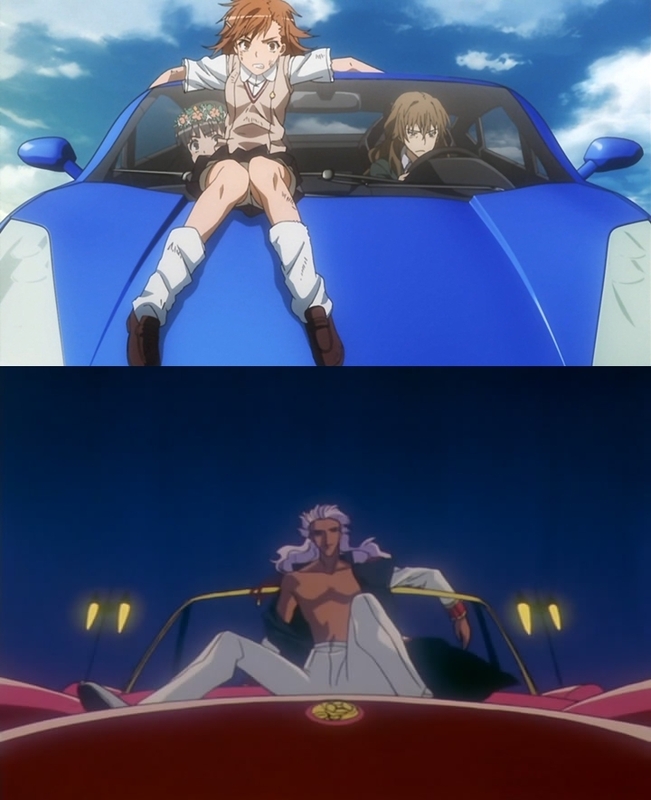 I loved the comparison shots, they went a long ways in depicting the more subtle underlying elements connecting these shows. I’m also finding myself more interested than I expected in Ano Natsu, and finding it somewhat refreshing despite its tried-and-true formula. Out of curiosity, who directed the climactic “Christmas Night” Toradora scene where Taiga ends up on the sidewalk yelling for Ryuuji? I thought that sequence was brilliant. 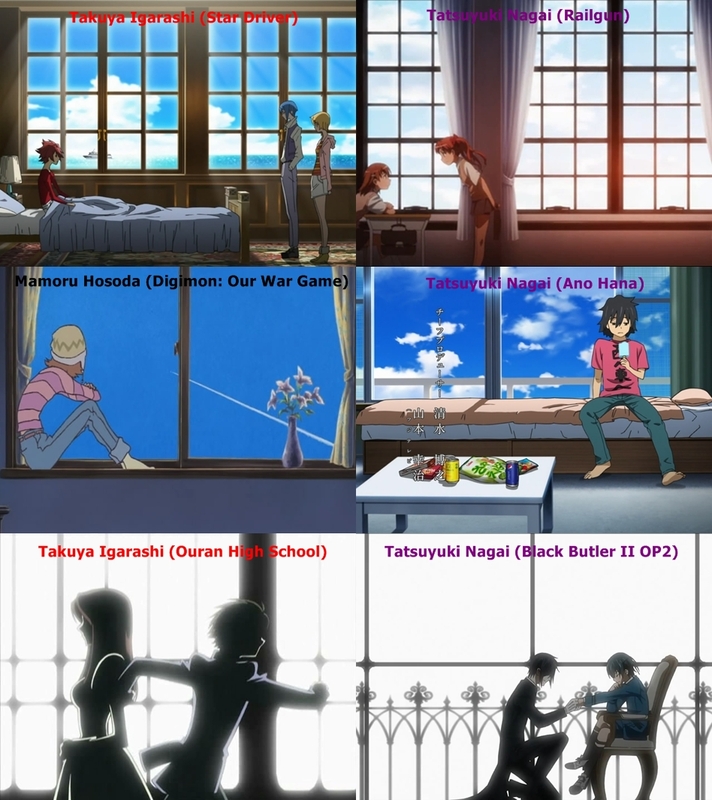 What I’d really like to know is who was responsible for the eye-dazzling and mind-bending Mawaru Penguindrum? I hate to put it like this, because it’s kind of apples and oranges, but the director(s) and animators of Pengi really brought their Studio SHAFT game to win! 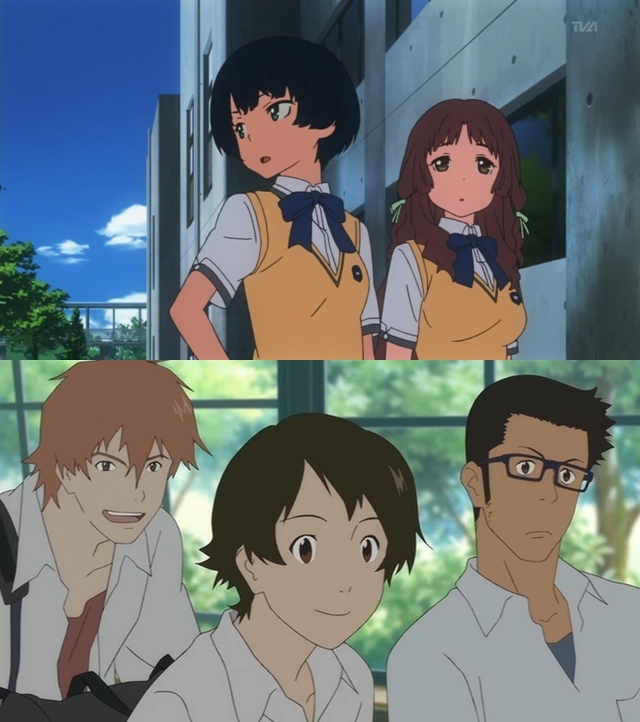 At times it seriously looked to be a SHAFT-work (which to me is a good thing).It was my anime-of-the-year, along with (oddly enough) AnoHana (and Madoka and Steins). Some interesting shots even if I think some are maybe a little far-fetched. 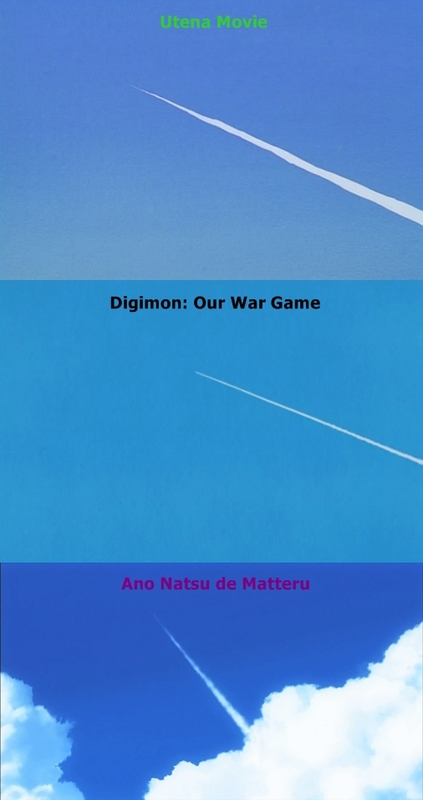 Nagai is sure a great director and his recents works are really enjoyable. I do think Nagai began to shine from Honey and Clover. His debuts as director assistant with Shinichiro Kimura aren’t memorable : his Maburaho episodes are forgettable but it looks it was the 1st time Masayoshi Tanaka & Nagai ‘worked together’ since he did key animation for Maburaho 1 directed by Nagai. I’m sure his collaboration with Kenichi Kasai was a rewarding experience and this is when he began to develop his current style. It wasn’t really shown with his Sunrise works but Hitman Reborn ED2 has interesting things to my mind. 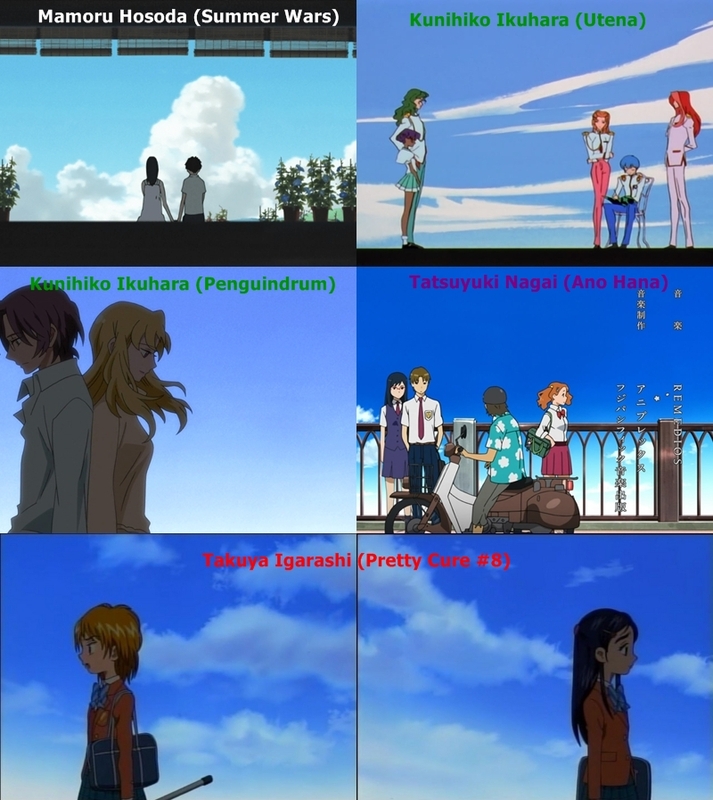 2008’s probably the confirmation of his current style with this emphasis of human profile & shape with Kimikiss OP2 (Kasai’s series) and of course Toradora. I’m wondering if he’ll be stuck to romance or if he’ll try another genre. Yeah, Nagai sure knows how to direct action, particularly the action scenes in the first and last Railgun episode impressed me. That Toradora “Christmas Night” scene you mean was in episode 19, right? That was one of the best episodes with really good animators involved, too. 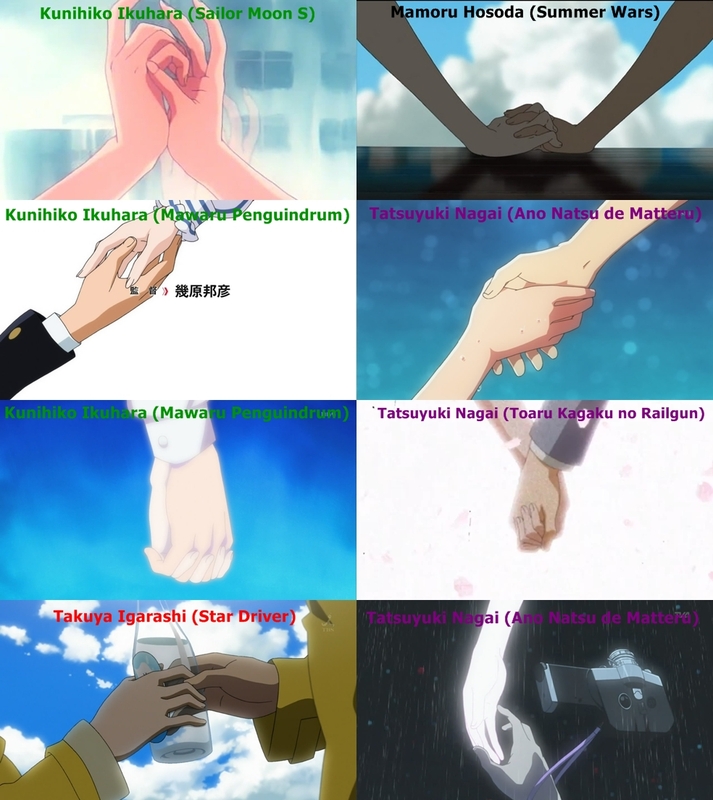 It was directed by Kenichi Kasai (Aoi Hana, Nodame Cantabile S1) and storyboarded by both Kasai and Nagai. I assume Nagai storyboarded the second part of the episode. Read the part on Nobuyuki Takeuchi (who also worked on Penguindrum => episode 9 is virtually a solo work of his) for a bit on the relation between Ikuhara and Shinbo/Shaft. I can imagine that some comparisons might seem a bit far-fetched, but I don’t consider them as direct references anyway (maybe except for the last one, but I added that one just for the lulz). My point is rather about the way of expression which seems to have some kind of underlying connection or the same idea behind it. And I chose most shots off the top of my head and these are by far not the only examples, too. 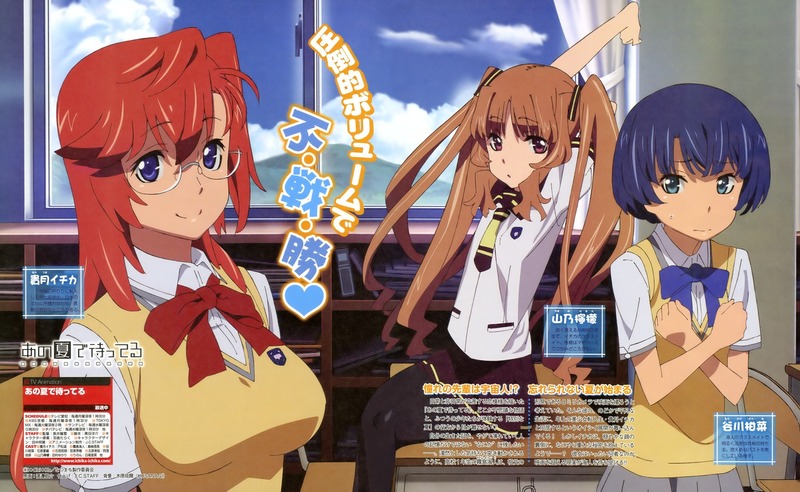 For instance, I haven’t featured Toradora! here at all even though he used many of the same visual traits there. 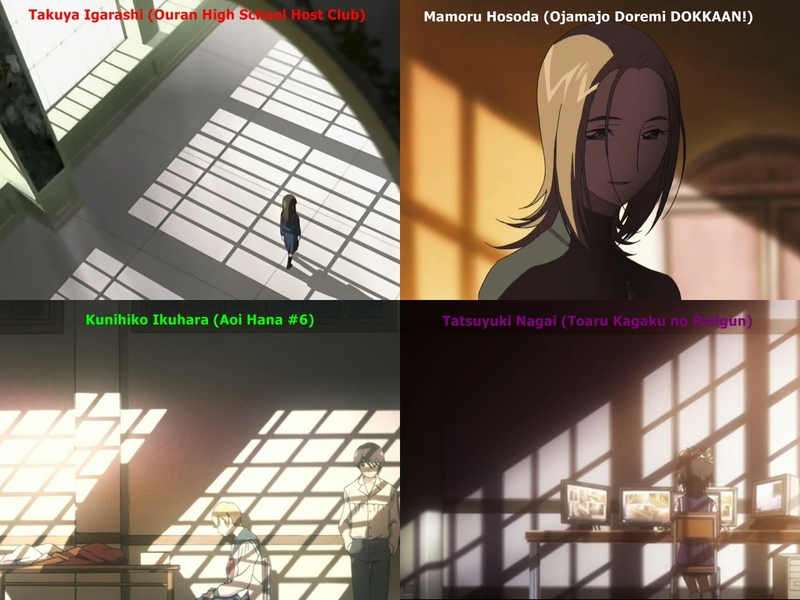 And the things I listed here are not the only ones I associate with the ‘Ikuhara school’, there are also some other characteristics like ‘cutting’ space with shadows (aiming for sharp contrast) which Nagai uses frequently as well. It’s also one of the stylistic traits of Shinbo so it’s probably more of a thing that the Dezaki followers have in common, though. Probably some of these traits where passed on at J.C. STAFF over the time, at least Ikuhara has certainly left his mark on this studio. Interestingly, Kenichi Kasai’s early work includes Sailor Moon – which was one of the hotbeds for the ‘Ikuhara school’ – and he worked with Shinbo as well. 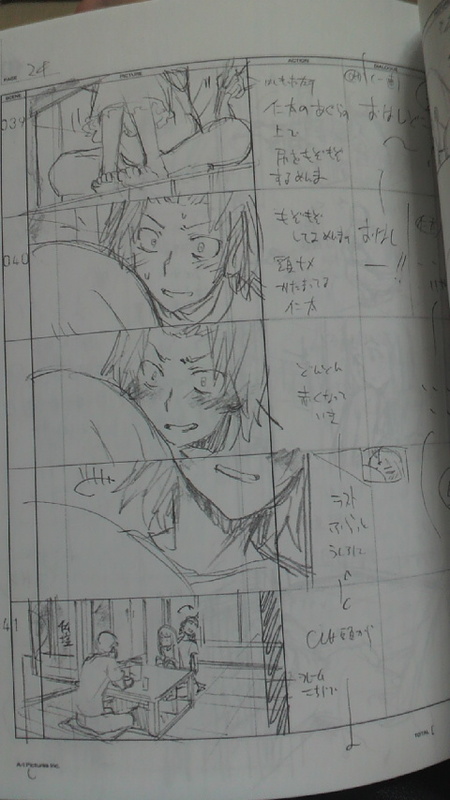 Kasai seems to be close to Ikuhara, too, seeing how Ikuhara did the openings for Nodame Cantabile and Aoi Hana and storyboarded some episodes. As you indicate – Kasai was certainly an influence on Nagai – so that’s probably how some of these stylistic traits have been passed on.